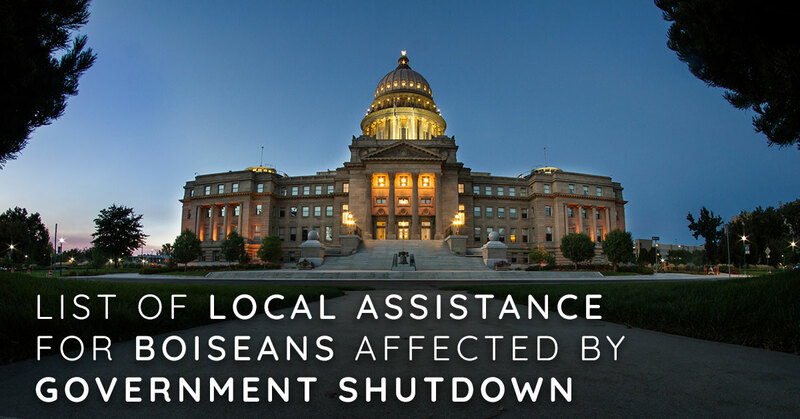 We have compiled a list of local Boise companies, restaurants and non-profits who are doing what they can to assist government or federal employees who have been caught in the 2019 Government shutdown. Please email us at iloveboise@totallyboise.com if we need to add anything to the list. As a result of the government shutdown, many hard-working Idahoans are facing a situation they never imagined. A few weeks ago, they were celebrating the holidays. Today, they are worried about where their next meal will come from. Federal Government Employees & their entire immediate family, receive a free scoop of ice cream! Free lunch to furloughed government employees. Free class for anyone affected as well as free entry for a friend or family member. From their FB page: ‘We are offering complimentary haircuts for government workers. Please call to book your appointment with us (208)375-0190. Free admission & food vouchers for the next Boise State Broncos Men's & Women's basketball games. Men's Game 1/26/19, Women's Game 1/30/19. FREE haircuts to federal employees affected by the Gov Shutdown. All you need to do is make an appointment and bring your Gov issued ID, that’s it. Free tickets for select shows to federal workers affected by the government shutdown, and if eligible you can pick them up at The Record Exchange starting Friday 1/25/19 – just bring your federal ID! A free family four-pack of tickets to “The Phantom Tollbooth,” Federal employees should bring their ID to the Morrison Center box office or call 208-426-1110. -Personal Loans up to $5K on approved credit, no interest and no payment for 90 days. -Federal Employees unable to pay for their mortgage because of the shutdown will not be reported to credit bureaus. Late fee waivers & payroll advance at 0% APR for qualified members. The grand reopening of Meridian's favorite breakfast and lunch spot is here!